*Conquered By the Alien Prince: An Alien Sci-Fi Romance (Luminar Masters Book 1) (Deal, Not Free) by Rebel West. Price: $0.99. Genre: Adult Science Fiction Romance Deal, Sponsor, Alien Romance. Rated: 4.7 stars on 13 Reviews. 261 pages. ASIN: B07B8B83LY. **Troop of Shadows: Book One in the Troop of Shadows Chronicles by Nicki Huntsman Smith. Price: Free. Genre: Post-Apocalyptic Science Fiction, Sponsor, If you like The Stand. Rated: 4.6 stars on 69 Reviews. 326 pages. ASIN: B01E4KAD8U. *The Exile Empire by Joshua Done. Price: Free. Genre: Alien Invasion Science Fiction, Adventure Science Fiction, Hard Science Fiction. Rated: 4.5 stars on 28 Reviews. 200 pages. ASIN: B07BPJXT8X. *Earth Seven: And the History Department at the University of Centrum Kath – a Science Fiction Satire (Book 1) by Steve M. Price: Free. 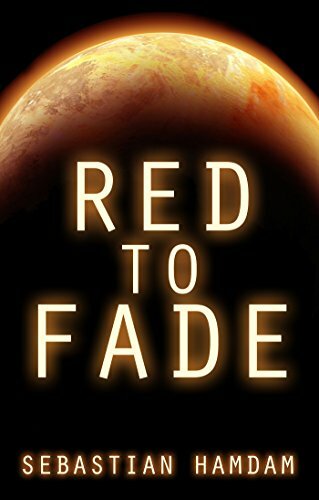 Genre: Military Science Fiction, Sponsor, Space Fleet, First Contact. Rated: 4 stars on 6 Reviews. 467 pages. ASIN: B0725XS6TQ. *Gunz & Madge by Alex White. Price: Free. Genre: Science Fiction Adventure, Sponsor. Rated: 5 stars on 1 Reviews. 300 pages. ASIN: B077KDM2TK. *The Actrix Stone: Global Reach (Deal, Not Free) by Rose Langshaw, Kane Langshaw. Price: $0.99. Genre: Science Fiction Deal, Sponsor, A Dark Conspiracy, The Battleground for the Struggle between Good and Evil, is Earth. Rated: 4.3 stars on 4 Reviews. 465 pages. ASIN: B078G6YD2W. *Passage: Book I of The Akasha Series (Deal, Not Free) by Indie Gantz. Price: $0.99. Genre: Post Apocalyptic Science Fiction Deal, Sponsor. Rated: 5 stars on 5 Reviews. 373 pages. ASIN: B079YSTMFC. *The Lost Tide (Deal, Not Free) by David Tenenbaum. Price: $0.99. Genre: Science Fiction Deal, Sponsor. Rated: 5 stars on 1 Reviews. 282 pages. ASIN: B07B9HJQNW. *Darkened Demigod: Weapon of War (Deal, Not Free) by Shawn H. Phillips. Price is: $2.99. Genres are: Science Fiction Deal, Sponsor, A DemiGod, Responsible for Humanity’s Downfall, Tries to Save What is Left of Mankind. Rated: 4.3 stars on 12 Reviews. Get it in Paperback here, please. *The Rise of Esperanto: Some have the gift of prophecy, but very few believe them (Deal, Not Free) by Eliade Moldovan. Price: $3.49. Genre: Science Fiction Deal, Sponsor, Mix of Fantasy and Religion. Rated: 4.5 stars on 5 Reviews. 204 pages. ASIN: B074TZ373F. See Paperback here at $2.67 (it’s lower than eBook’s price), please. *(Free for Kindle Unlimited) Earth Interstellar: Proxy War (Deal, Not Free) by Scott Olen Reid. Price: $3.99. Genre: Science Fiction Deal, Sponsor, Fleet Battles, Realistic Technologies, Elder Races using Younger Races. Rated: 4.4 stars on 8 Reviews. 369 pages. ASIN: B0799F7YJV. *(Free for Kindle Unlimited) Guilit: The Ultimate Soldier (Deal, Not Free) by Jordan Harrell. Price: $2.99. Genre: Science Fiction Deal, Sponsor, Waking Up in Unknown Location. Rated: 5 stars on 1 Reviews. 139 pages. ASIN: B07B3HHGKK. Also see the $7.99 paperback here, please. *(Free for Kindle Unlimited) Omne: A Fallen Samurai (Deal, Not Free) by Jordan Harrell. Price: $2.99. Genre: Science Fiction Deal, Sponsor, Fallen Samurai. Rated: 5 stars on 1 Reviews. 107 pages. ASIN: B07B3M8VL7. Please also see the $7.99 paperback here. Generational: A starship adventure by Norman Turrell. Price: Free. Genre: Adventure Science Fiction, Steampunk Science Fiction, YA Science Fiction. Rated: 4.5 stars on 4 Reviews. 119 pages. ASIN: B075GX13RS. ***Parley (Privateer Tales Book 3) (Repeat) by Jamie McFarlane. Price: Free. Genre: Science Fiction, Space Marine, Adventure. Rated: 4.6 stars on 184 Reviews. 262 pages. ASIN: B00N041JBM. *Absorption Phase 03 (The 18th Shadow) by Jon Lee Grafton. Price: Free. Genre: Science Fiction, Cyberpunk, Dystopian. Rated: 5 stars on 8 Reviews. 436 pages. ASIN: B06XGWN427. ISBN: 0998905623. *Harnessing Altruism by Sava Buncic. Price: $2.99. Genre: Dystopian Fiction Deal, Sponsor, Science Fiction. Rated: 4 stars on 10 Reviews. 220 pages. ASIN: B01N1UNSU6. See the Paperback at $29 here, please. *Gunz & Madge by Alex White. Price: Free. Genre: Science Fiction, Sponsor, Steampunk. Rated: 5 stars on 1 Reviews. 300 pages. ASIN: B077KDM2TK. *The Actrix Stone: Global Reach (Deal, Not Free) by Rose Langshaw, Kane Langshaw. Price: $0.99. Genre: Science Fiction Deal, Sponsor, Battle between Good vs Evil. Rated: 4.3 stars on 4 Reviews. 465 pages. ASIN: B078G6YD2W. *Incredulous by Joseph Reyna. Price: Free. Genre: Alternate History Science Fiction, Science Fiction. Rated: 4.9 stars on 13 Reviews. 386 pages. ASIN: B01EP7CD3K. *Portals in Time: The Quest for Un-Old-Age by John Joseph Teressi, Verlaine Crawford. Price: $9.99. Genre: Time Travel Science Fiction Deal, Sponsor, Metaphysical & Visionary. Rated: 5 stars on 1 Reviews. 460 pages. ASIN: B0797PTD46. *(Free for Kindle Unlimited) Earth Interstellar: Proxy War (Deal, Not Free) by Scott Olen Reid. Price: $3.99. Genre: Science Fiction Deal, Sponsor, Space Opera, Interstellar War. Rated: 4.4 stars on 8 Reviews. 369 pages. ASIN: B0799F7YJV. *The Lost Tide (Deal, Not Free) by David Tenenbaum. Price: $0.99. Genre: Climate Fiction Deal, Sponsor, Natural Disasters. Rated: 5 stars on 1 Reviews. 282 pages. ASIN: B07B9HJQNW. Zeroth Law (Digitesque Book 1) by Guerric Haché. Price: Free. Genre: Adventure Science Fiction, Military Science Fiction, Sword & Sorcery Fantasy. Rated: 4.6 stars on 5 Reviews. 394 pages. ASIN: B01GT90JB0. Crave: A Zombie Apocalypse Thriller (The Hollow Men Book 1) by Jonathan Teague. Price: Free. Genre: Post-Apocalyptic Science Fiction, Dystopian Science Fiction. Rated: 5 stars on 4 Reviews. 270 pages. ASIN: B01HUGNSWI. Epoch Earth: The Great Glitch (The Great Glitch Dystopia Book 1) by Toasha Jiordano. Price: Free. Genre: Post-Apocalyptic Science Fiction, Dystopian Science Fiction. Rated: 4.2 stars on 8 Reviews. 276 pages. ASIN: B077GZL55Q.